RALPH HASENHUTTL receives his introduction to English football in Wales as he takes charge of Southampton for the first time. And a clash with Neil Warnock's Cardiff City will come as a culture shock for the former Leipzig boss as he tries to get a tune out of the players who flopped under Mark Hughes. Having watched their 3-1 defeat against Spurs at Wembley from the stand on Wednesday, Hasenhuttl won't be coming in totally blind but Cardiff's style stands in stark contrast to that of Spurs and most sides in the Bundesliga. It may not be easy on the eye but Warnock's brand of football is certainly effective as the Bluebirds have won three of their last four home games, seeing off Fulham, Brighton and Wolves. The last two of those victories have been by a 2-1 scoreline and so don't rule out a repeat against Southampton, which is 9/1 with 888 Sport. Scoring goals has been a problem for the Saints all season, having drawn blanks in four of their last nine games, but they looked a threat against Spurs and would have scored more had it not been for Hugo Lloris. That makes the 22/25 on offer from 888 Sport for both teams to score pretty appealing while over 2.5 match goals also looks good at 6/5. 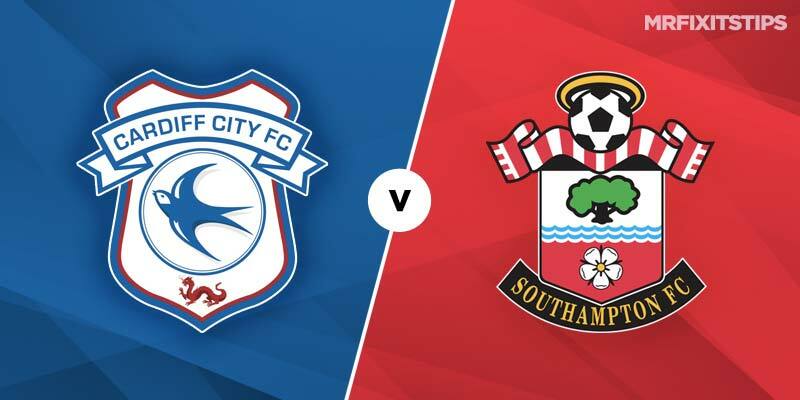 You can never underestimate the bounce a squad gets from a new manager but I've a hunch that Cardiff will just prove too awkward for Southampton to get a win. Junior Hoilett scored a stunning late winner for Warnock's side when they saw off Wolves and his pace could cause Southampton problems. The winger is 9/1 with 888 Sport for first scorer and 4/1 to net at any time in the 90 minutes and looks a decent bet. Hassenhuttl might ring the changes for his first game in charge so it might be best to wait until the teams are announced if you fancy a flutter on a Southampton scorer. I've always thought Manolo Gabbiadini is the most talented striker on the books at St Mary's and he might get a new lease of life under Hassenhuttl. But Charlie Austin came off the bench to score against Spurs and could get the nod up front instead. The Italian is 6/1 with 888 Sport for first goalscorer with Austin 23/5 while they are priced 13/5 and 39/20 respectively in the anytime scorer market.